While sifting through the 52-week low list on Friday at Value Investing News, I spotted the stock of Premier Exhibitions (PRXI). Premier Exhibitions’ stock was down over 20% Friday morning. This ghastly plunge came on the news that Premier Exhibitions’ main source of revenue was at the center of an investigative news report. Shareholders of Premier Exhibitions panicked on the news and many of them sold their shares on Friday. While they are fearful of the fallout from this news report, it might be time for value investors to become greedy. The investigative news report by ABC News 20/20 looked at the potential that a black market has formed in China for bodies, specifically bodies of executed prisoners. The investigative report by Brian Ross looked at the source of the specimens used in Premier Exhibitions’ “Bodies… The Exhibition”. The main point of the report was that Premier’s supplier, Dr. Sui and the Dalian Medical University Plastination Co. Ltd., have no connection to Dalian Medical University, and therefore the specimens they acquired and leased to Premier did not come from Dalian Medical University. The segment then went on to suggest that some of the bodies supplied may not have died of natural causes. Premier has now also received a subpoena from the New York Attorney General’s Office. According ABC News, the Chinese Foreign Ministry is also investigating the market for bodies, including allegations that bodies had been shipped to Premier Exhibitions despite a 2006 law that prohibited the export of corpses for commercial purposes. Premier shot back this weekend with an open letter to 20/20 and shareholders defending the content of their exhibits. They argue that Dr. Sui has been a member of the staff of Dalian Medical University and that Dalian Medical University Plastination Co. Ltd. is 70% owned by the university. Premier also states that all the specimens have been reviewed by their team of medical experts and they have found no evidence of trauma, serious bodily injury, execution or torture. The company also notes that they have sworn affidavits on their website supporting this, but I had trouble finding them. Premier Exhibitions generated 87% of their revenue last quarter from their Bodies exhibits. Therefore, any disruption in their ability to continue attracting thousands to these exhibits would dramatically impact their profitability. That type of risk would normally cause me to move on to other opportunities. However, Premier Exhibitions has a hidden asset that is unique and impossible to replicate. 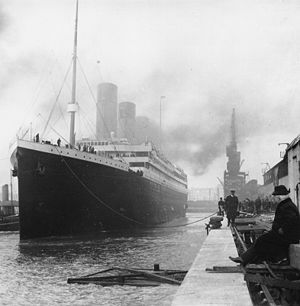 Premier Exhibitions has salvor-in-possession rights to the RMS Titanic and already has in its possession over five thousand artifacts from this famous sunken vessel. The Titanic exhibits generated the other 13% of Premier’s revenues last quarter. The full value of these assets are not reflected on the company’s balance sheet. There is the potential that these artifacts could be sold for tens of millions of dollars in the future. Given the uncertainty associated with Premier’s ability to continue growing revenues from their Bodies exhibit, I focused my attention on the company’s balance sheet. As of November 30, 2007, Premier had $25 million in unrestricted cash and marketable securities. This comes out to $0.83 per share. Premier has no long term debt. The company’s net current asset value is $36 million, which comes out to $1.20 per share. There are also an additional $3.09 million in artifacts under long term assets. These are the artifacts recovered in the 1987 Titanic expedition in which the company received full ownership of the artifacts by the government of France. These artifacts are valued at the lower of cost of recovery or net realizable value on the balance sheet. However, it is likely that these 1,800 artifacts are worth many times more than this. Premier has an additional 3,700 artifacts from expeditions conducted in 1993, 1994, 1996, 1998, 2000 and 2004. While Premier is currently restricted from selling these artifacts as the salvor-in-possession, the company on November 30, 2007 moved the Court for a salvage award for these items. In part, because these assets are not fully reflected on the balance sheet, Premier Exhibits is able to generate a return on assets of over 25% and a return on equity over 27%. These are some amazing numbers, especially considering that Premier is currently trading at a P/E of just 9.7. For a business that relies heavily on visitors, all publicity is good publicity. This 20/20 show, while potentially impacting Premier Exhibitions’ ability to expand the number of Bodies exhibits, may in fact attract more attention to current shows. It’s basically free advertising. Controversy usually increases curiosity and in turn attracts visitors. 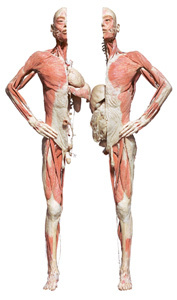 If Bodies… The Exhibit was an online webpage, we might even consider this whole affair to be an elaborate linkbait campaign. Even if further legal investigation turns up major problems, Premier Exhibitions still has its Titanic exhibits and associated valuable collection of priceless artifacts. I just couldn’t pass up this opportunity on Friday to pick up shares of this small cap wide moat company selling at a major discount. I added a half position to the Fat Pitch Financials Portfolio at an cost of $4.41 per share. It appears share dropped a bit further on Friday and closed the day at $4.29. It will be interesting to see how long it takes for the impact of the 20/20 investigation to pass. Finally an alternative IIF and IFN closed end funds to invest in India. Here is an article on new ETF covering Indian market to be launched this month by WisdomTree. It is a better way to invest in India and get the growth story in your portfolio. This article is giving the impression a re-run of a Titanic exhibit (that most people who were interested have already seen) would pay to see it again. Hardly, and not in this generation. Given Premier Exhibitions is currently under investigation by the NY Attorney General for using cadavers they still have yet to show papers for, and in which ABC’s 20/20 all but proved some or all were executed prisoners, and we have yet to find out if fines will be imposed or even jail time for the executives, frankly, I wouldn’t touch this stock with a ten foot pole. This is what is called a bad karma stock.